The Port Washington-based drug and chemical manufacturer Aceto Corp. announced Monday that it would adopt a shareholder rights plan, or “poison pill,” that would prevent a change in ownership. According to a news release, an ownership change would occur if a stockholder with 5 percent or more of Aceto’s common stock increased his collective ownership over three years. To prevent this, the rights plan would be activated if a stockholder bought more than 4.99 percent of the company’s stock. The plan would let shareholders other than the acquirer purchase additional shares at a discount, which would dilute the acquirer’s stake in the company. The explanation given in the news release for creating this plan is that potential tax benefits could be lost if the company was bought. These benefits, such as net operating loss carry forwards, could reduce Aceto’s tax liabilities in the future. “The Rights Plan is similar to the tax asset protection rights agreements adopted by numerous other public companies seeking to protect their … tax benefits,” the statement said. The plan does give Aceto’s board some flexibility. The release said that the company would accept offers that “are fair and otherwise in the best interests of Aceto’s stockholders.” The board can exempt certain acquirers. The rights plan will expire on Nov. 5, 2021, or on an earlier date if any person or group acquires more than 19.99 percent of the company’s outstanding shares. Efforts to reach the company for further comment were unavailing. It has been a difficult year for the maker of generic drugs, which was founded in 1947. 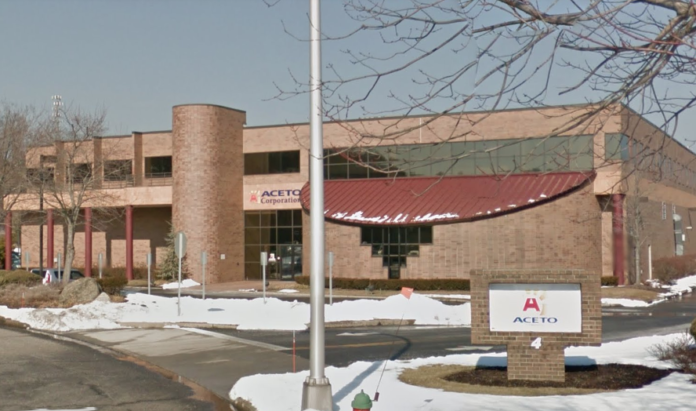 In its most recent fiscal year, which ended on June 30, Aceto posted a net loss of $316.1 million, or $8.98 per share. The company announced in April that it had hired an investment bank in connection with the possible sale of the company. Three months later, Alan Levin was named the company’s chairman.